Route 18 Burling Pike East to South KY 237 Camp Ernst Rd, Valley Creek Farms is less than 1 mile on Left. 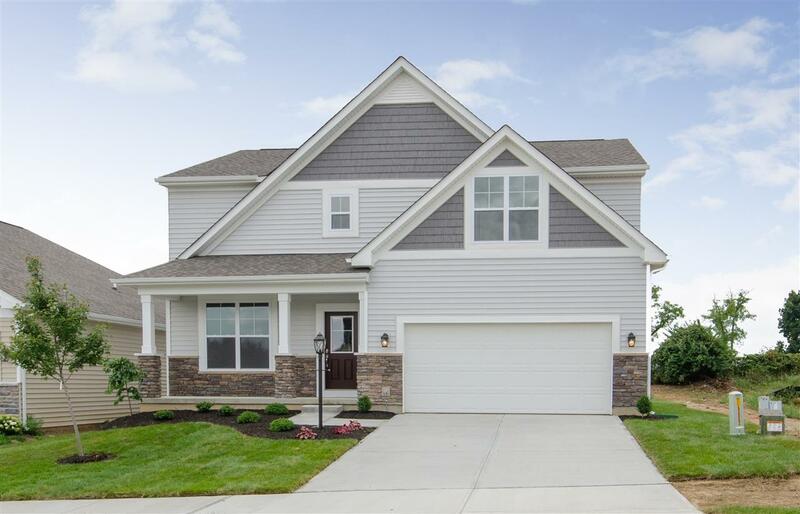 New construction by Brookstone Homes in beautiful Valley Creek Farms. The Nantucket B has a coastal exterior that welcomes your guests. Open floor plan w/1st flr parlor, family rm w/stone fireplace, large kitchen w/island & morning rm, mudroom w/cubbies, 2nd flr has large master with his/hers closets & luxury bath. 3 additional BRs & loft offer great space. Finished LL w/rec rm, bedroom & full ba.